As we’ve shown so many pictures of the Newcombe House complex from a distance, this time we’ll concentrate on the public square inside. This is the square viewed from its south end. 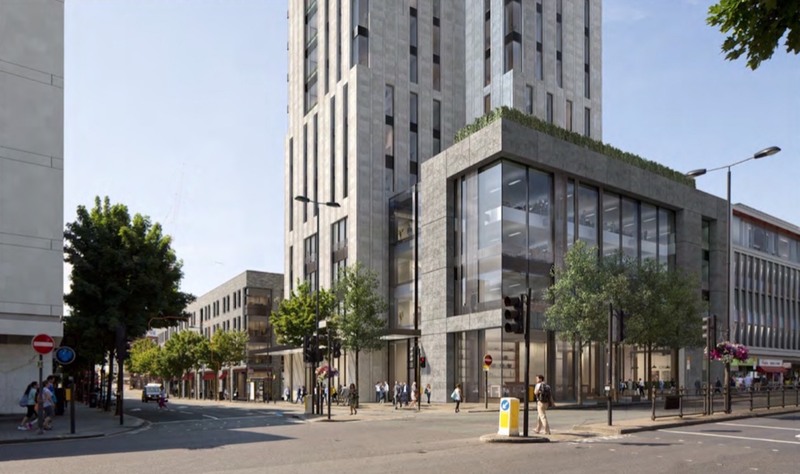 The GP surgery will occupy the two top floors of the five-storey building next to the tall corner building – if Sadiq Kahn approves the project. Picture courtesy of Brockton Capital and U+I. The square looking south. On the left are the two four-storey residential Church Street buildings, the furthest intended for affordable renting; on the right are the three-storey residential buildings; and in the middle is a white cube-like office building, with the entrance from Kensington Place visible on its left side. Picture courtesy of Brockton Capital and U+I. On 28 March, London mayor Sadiq Khan decided to “call in” the latest Newcombe House application, which means that he takes over the role of local planning authority, something the London mayor is entitled to do for developments that have significant impact on the implementation of the London Plan and are likely to affect more than one borough. 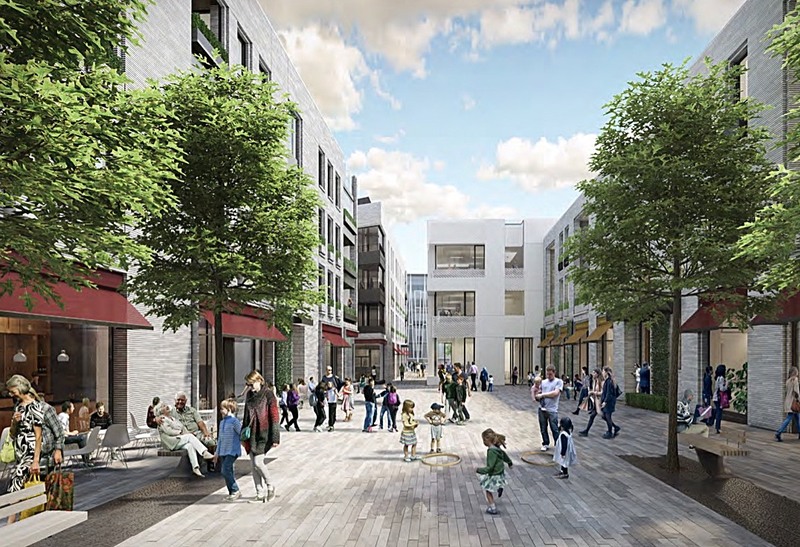 Khan’s letter focuses on three things: the provision of step-free access to Notting Hill Gate tube station’s eastbound platform, the provision of a large GP surgery, and the provision of affordable housing on site. He sees the Newcombe House project as a vital element in the fulfilment of the London Plan, especially the provision of step-free access, stresses the need for the GP surgery, and feels that the affordable housing contribution is satisfactory. It is rather obvious from the letter that he feels the council has mishandled the project, by rejecting the application instead of improving some details through conditions and ensuring that the project becomes reality. While the council argued that the application should be rejected because it provides fewer affordable housing units than was on the site previously, Khan notes that the amount of habitable rooms will actually increase by almost 50% (from 20 to 27) and will be of a much higher standard. He also takes the opportunity to criticise the council for its extremely poor result in providing the borough with affordable housing. The borough housing target for the past four years was 2,635 homes in total, whereof 986 affordable. 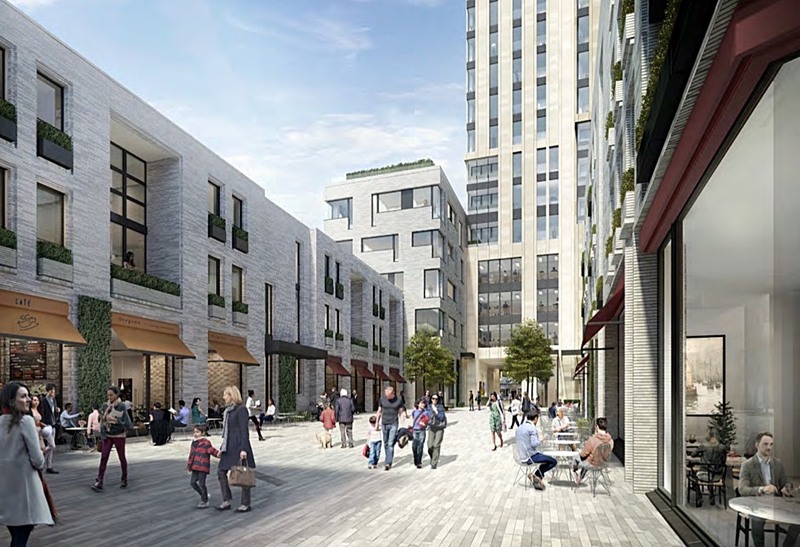 However, while 3,018 homes received planning application approval in that period (i.e. more than the target), only 280 of those were affordable. In 2016-2017 only 9 affordable homes were approved, while 402 non-affordable were approved. The letter states that the affordable housing offer “accords with London Plan Policy 3.14, draft London Plan Policy H10 and the Mayor’s Affordable Housing and Viability SPG”, while the council argued that the amount of affordable housing would be contrary to London Plan policy 3.14. Sometime during the summer or early autumn, the mayor’s office will arrange a public hearing, probably in Kensington Town Hall, and some time after that the mayor will announce his decision. Judging from the letter, it seems pretty clear that Sadiq Khan intends to approve the application after having squeezed a few further concessions from the developer; a path he feels that the council should have taken instead of refusing the application once again and delaying this project even further. The Newcombe House complex viewed from the other side of Notting Hill Gate, with a big office glass box in front. Picture courtesy of Brockton Capital and U+I. There will be five different entrances to the public square. This is the entrance from Notting Hill Gate, a wide passageway through the tall corner building. Picture courtesy of Brockton Capital and U+I. 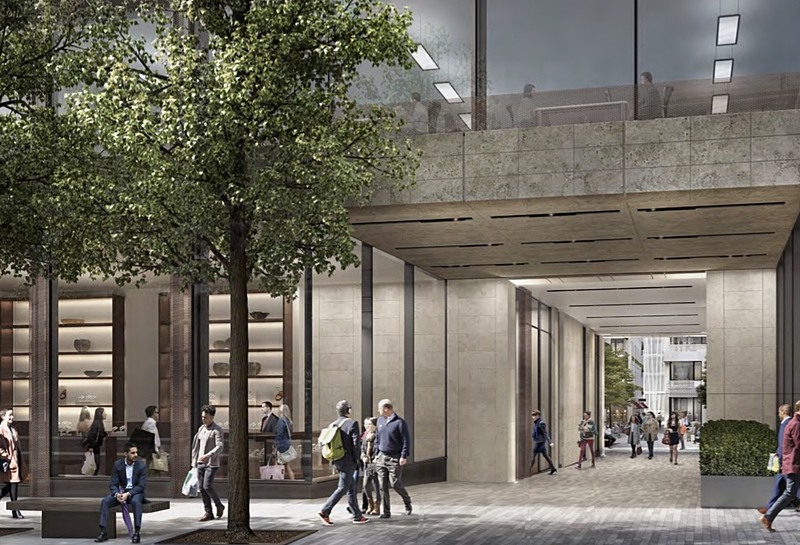 These are the four other entrances into the square: from Uxbridge Street; from Kensington Church Street opposite Barclays; from Church Street opposite its Kensington Mall junction; and from Kensington Place, next to the Bethesda Baptist Church. Pictures courtesy of Brockton Capital and U+I.